I purchased a copy of the Toronto Brunch Map created by Lindsay Zier-Vogel (lindsayziervogel.com) and have been itching to get some buddies together and try out some of these restaurants. 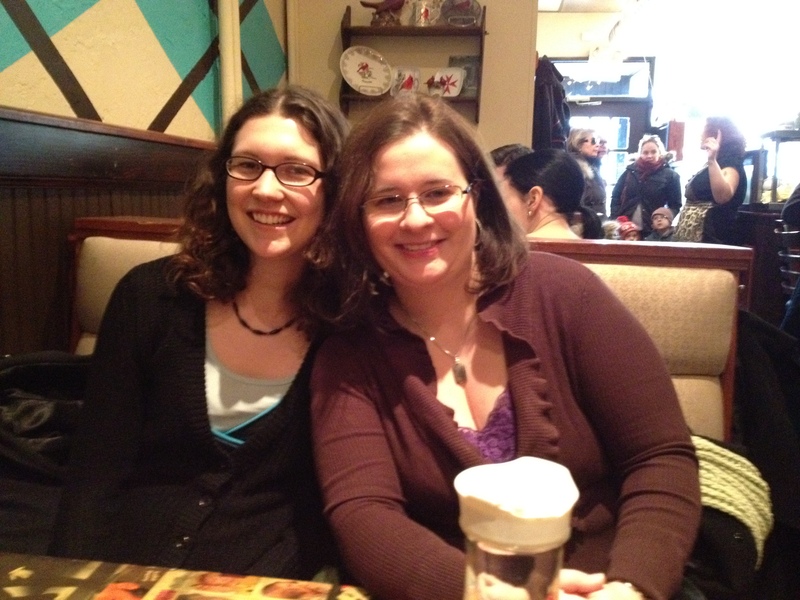 Today KT, Monnie, Linds and I headed over to Roncy and Queen to try out Cardinal Rule. Right away, we loved the argyle print on the walls and the oldies music piping through the restaurant. We managed to snag a booth for our party of four and had quite a bit of fun with the decoupaged table. It made for some interesting conversation, especially the Impressions Crimper. 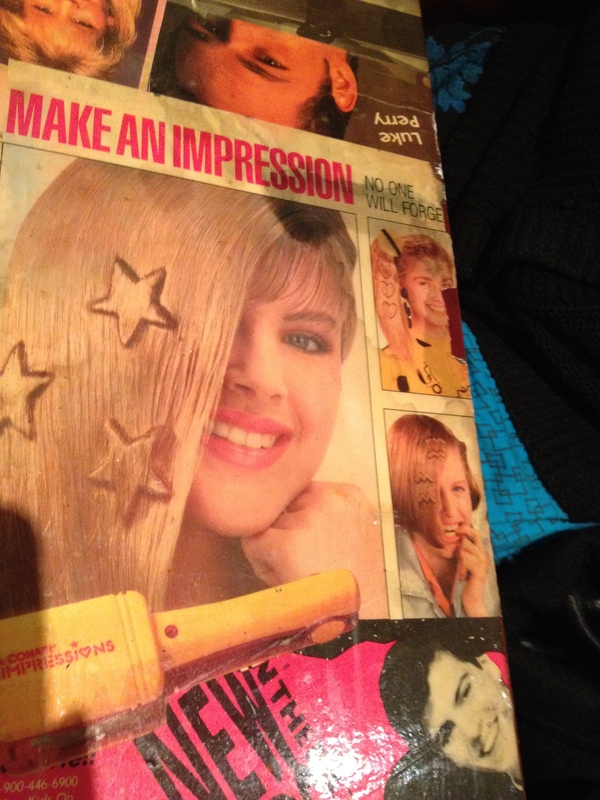 Impressions Crimper: Where was this when I was growing up? The brunch map mentioned “delish latkes” and so we all made sure we had some. We had little bit of everything on the menu. 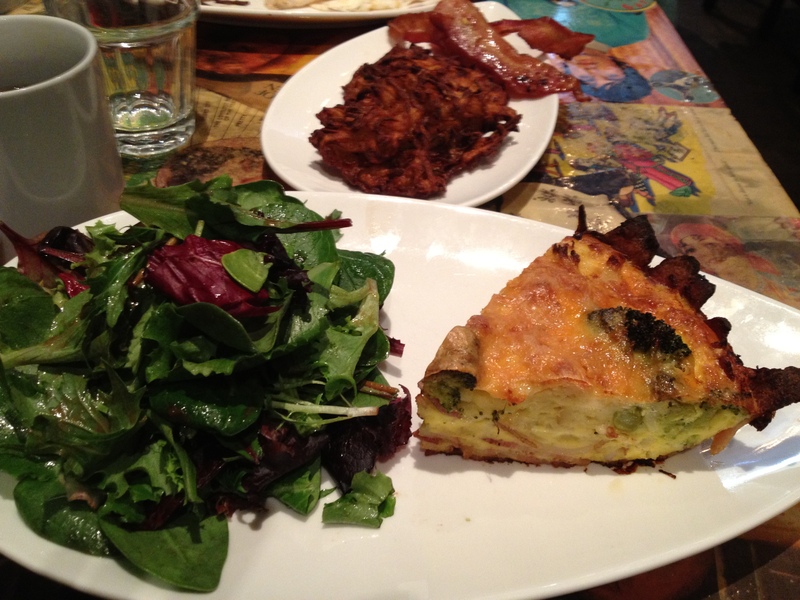 KT had the eggs bennie, Lindsay had the classic breakfast, I had the breakfast pie (bacon crust!) 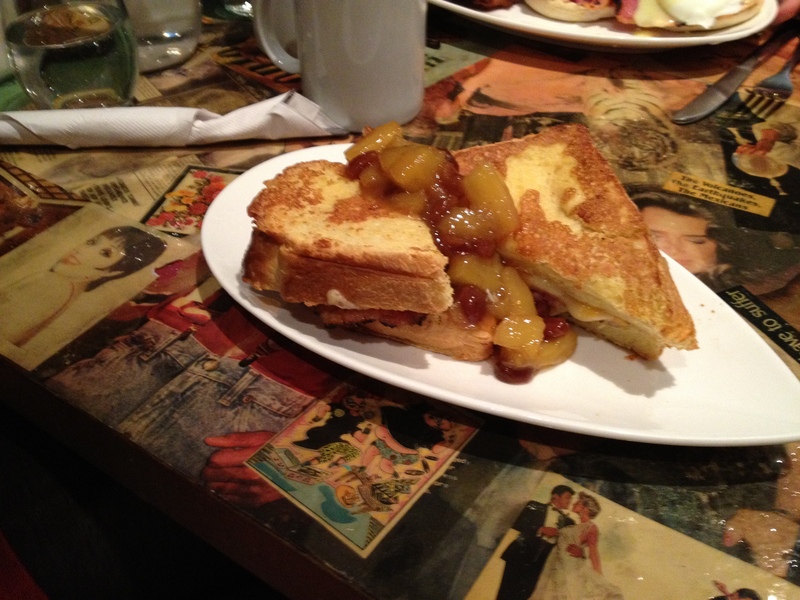 and Monnie had the Hawaiian Stuffed French Toast. The food was amazing. The latkes, as promised, delish. Speaking for my own plate I couldn’t get enough of the breakfast pie. An awesome take on quiche with a bacon crust ftw! Breakfast Pie Complete with Bacon Crust! All and all it was an awesome time had by all. We’ll definitely be making a return here soon. 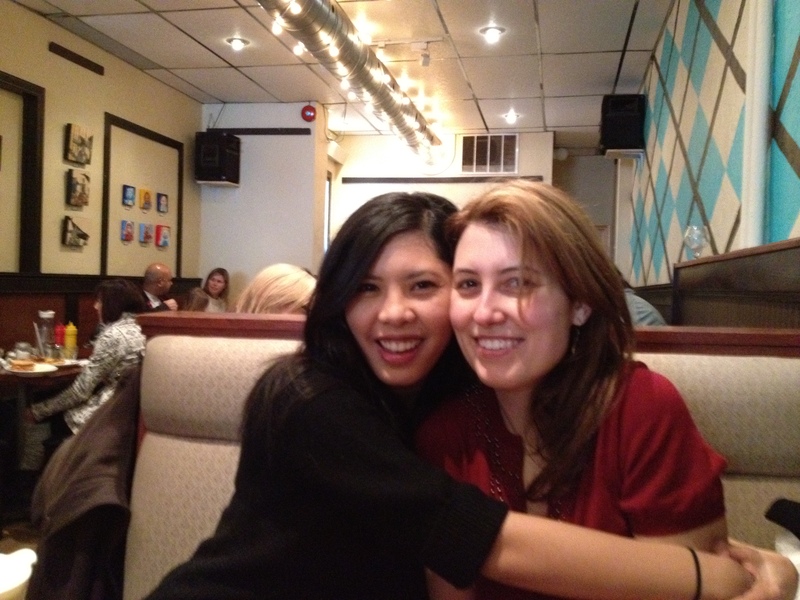 Hugs All Around: Monnie and Me!